We’re not talking about economics here. In fact, at the midpoint of 2017 the economic forecast for Alberta commercial construction is not only looking positive, it is deemed to be darn right sustainable given the new diversity of it. So what’s the problem? While nothing new, there are a set of concerns that commercial businesses need to be aware of in order to take preventative action. These can apply to up and coming builds and long standing ones alike. Let’s take a look at these potential issues, and how you can take the necessary action to ensure your enterprise remains open for business through the year, year after year. The obvious problem is the physical threat to one’s brick and mortar, but the backlash of not being prepared for such occurrences extends further. For one, there are insurance liability concerns. Let’s consider an event similar to the one addressed in the above quote as an example. If auditors find that a business did not take the necessary precautions in the initial construction or subsequent renovation/retrofitting of their establishment, they may be liable for damages not included in their commercial insurance policy coverage. This can result in claims and legal expenses that such a business could not bounce back from. Then of course there is the public relations backlash which should also not be taken lightly. It’s one thing to contend with liability ramifications that a sound policy may cover, but it’s another to manage your brand reputation online, in paper, and through the various word of mouth channels that you normally depend upon to bring business, not dissuade it. If you’re building in Central Alberta, choose a reputable commercial builder that has worked with the local business community for years. But that doesn’t help you as an established business, right? If you’re even remotely concerned about the integrity of your building and its ability to cut it through severe weather, then you need to have it inspected. The older the property, the more likely that it’s a candidate for retrofitting that may include metal roof installation, re-cladding for improved insulation, and more. If your business has recently felt the brunt of severe weather, then inspection is also required, even if all looks well on the surface. 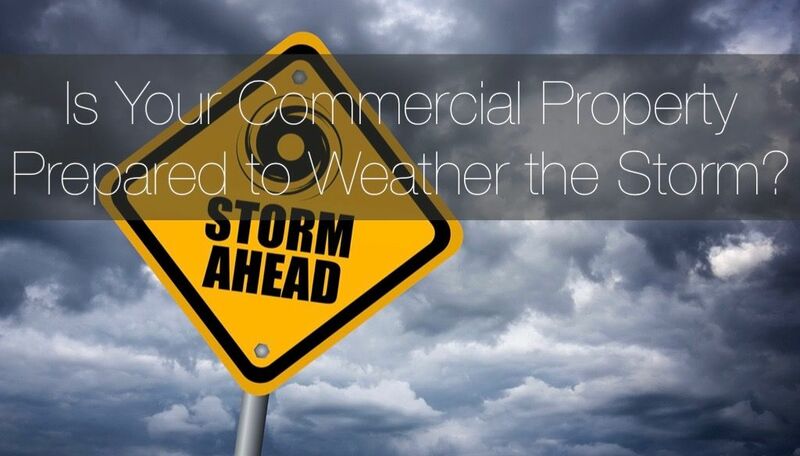 Chances are, your building may need storm damage repair to prevent leaks and further degradation. Sure, there’s a cost to taking these preventative measures, but trust us when we state that the investment is minuscule when compared to what it can cost you by not being prepared. If your commercial business is interested in taking the necessary steps to protect your brick and mortar, your brand reputation, and the local Central Alberta community then we encourage you to contact Apple Building Systems today. We offer a full suite of re-roofing, re-cladding, retrofitting, and storm damage prevention and repair solutions for commercial enterprises. Call us today at 403.340.6777 to learn more.